Since the inception of Klove, their lighting design company in 2006, Prateek Jain and Gautam Seth have ensured that they don’t just create lighting but explore art through their collections. Defined by experimentation and exquisite craftsmanship, the designers have always believed in pushing boundaries, so be it their larger-than-life 3D installations for fashion bigwigs like Gaurav Gupta and Rohit and Rahul, or beautiful, unconventional forms for the home, there is always a sense drama in their creations. With their latest collection, Alice, in collaboration with Arttd’inox, the lifestyle brand from the House of Jindals, they have furthered their ethos. 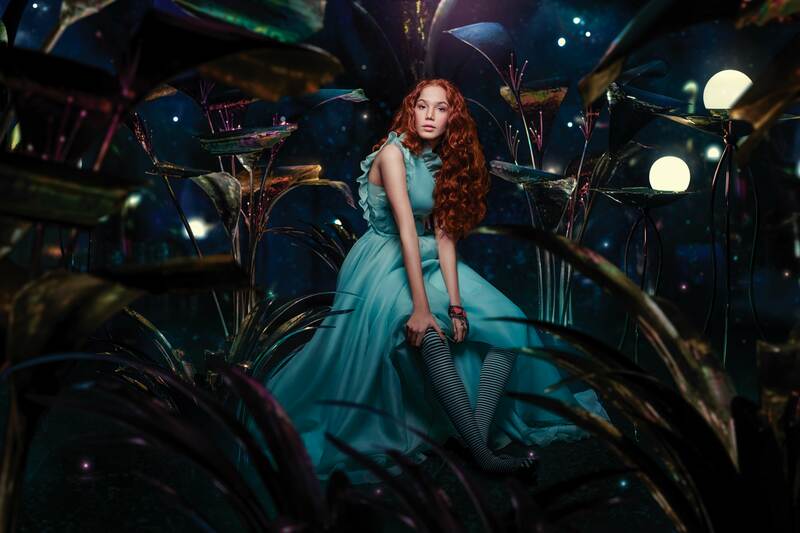 The line explores the tale of ‘Alice in Wonderland’, with the protagonist re-imagined in a post-modern era. Jain and Seth have moved beyond their chosen material glass, and fused it with steel, an Arttd’inox staple, in their new offerings; the 15-piece collection seeks to bring out the harmony between two diametrically opposite elements. It comprises oversized flowers, ceiling lights made from blown glass, a swing, installations in steel, immaculately done corner lights (akin to oversized flora and fauna of the garden in Alice in Wonderland), and steel sculpture inspired by the White Rabbit, meant for a true-blue Lewis Carroll aficionado. So what makes this collection special? “We have used steel in the past but blown glass has been our hero material – this time it is majorly steel’ The collection offers more than just lighting installations; there are derivative elements which put it in a social context too. 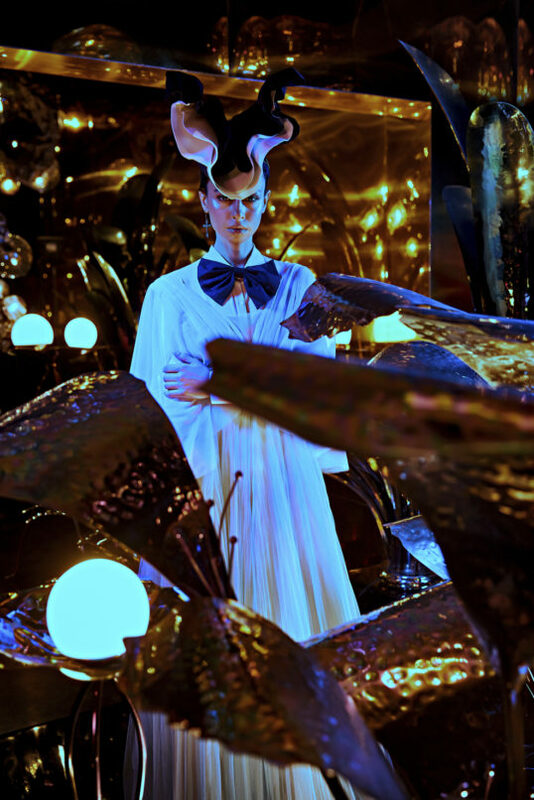 For example, the use of iridescence, which symbolises Alice’s journey into and out of the rabbit hole and her ability to reach the light at the end of the tunnel.